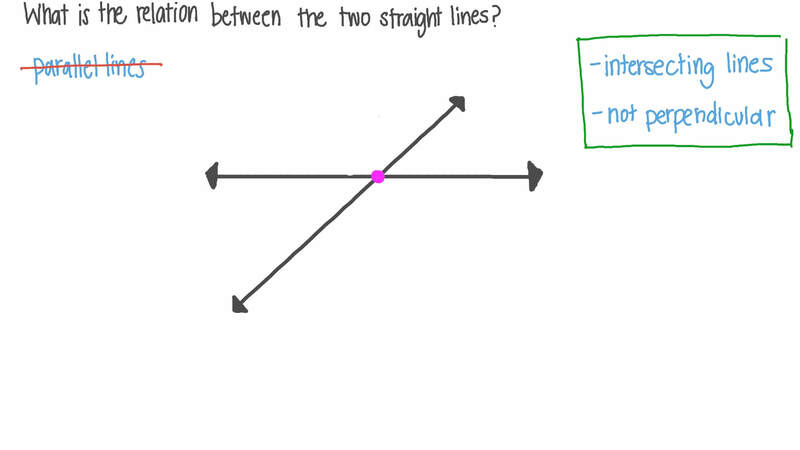 In this lesson, we will learn how to describe the relations between straight lines, lines segments, and rays as parallel, intersecting, or perpendicular. Which of the following correctly defines perpendicular lines? ATwo lines are said to be perpendicular if they meet at right angles. BTwo lines are said to be perpendicular if they meet at a reflex angle. CTwo lines are said to be perpendicular if they never intersect however far they are extended. DTwo lines are said to be perpendicular if they meet at an acute angle. ETwo lines are said to be perpendicular if they meet at an obtuse angle. 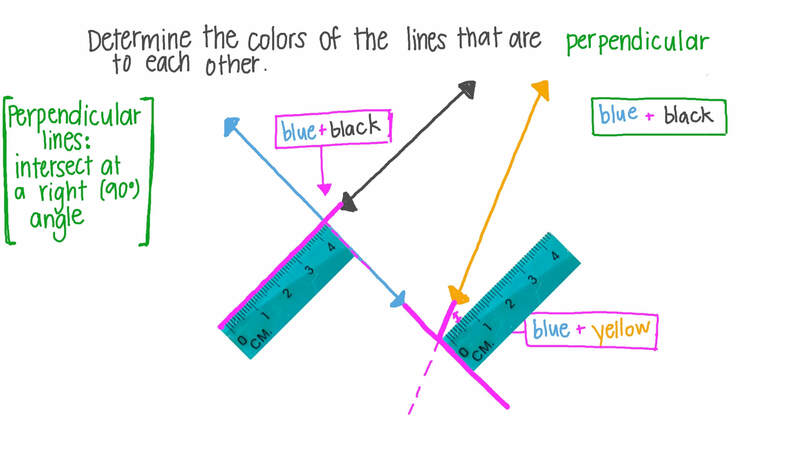 Determine the colours of the lines that are perpendicular to each other. 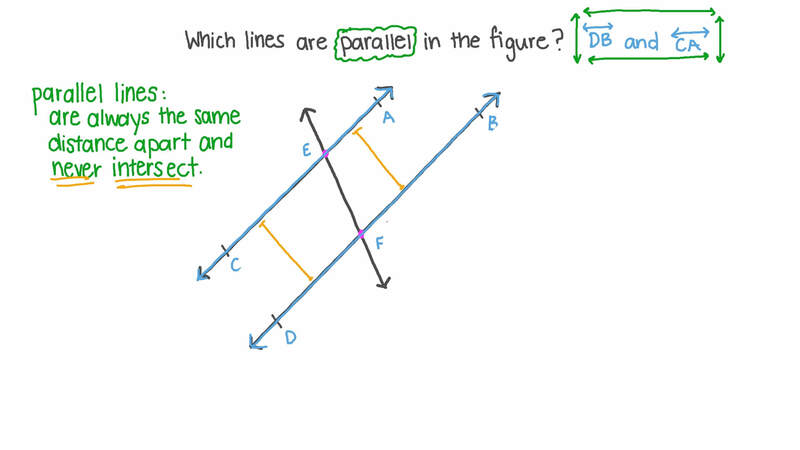 Which are the parallel lines in the figure? Use ∥ or ⟂ to fill in the gap: 𝐴 𝐵 𝐶 𝐷 . Is 𝐴 𝐵 parallel or perpendicular to 𝐵 𝐶 ? Is 𝐵 𝐶 parallel or perpendicular to 𝐴 𝐷 ? State whether the following is true or false: Any angle formed from the intersection of two perpendicular straight lines is a right angle. The blue car is driving on a road that is the road that the yellow car is driving on. The blue car is driving on a road that is to the road that the yellow car is driving on.